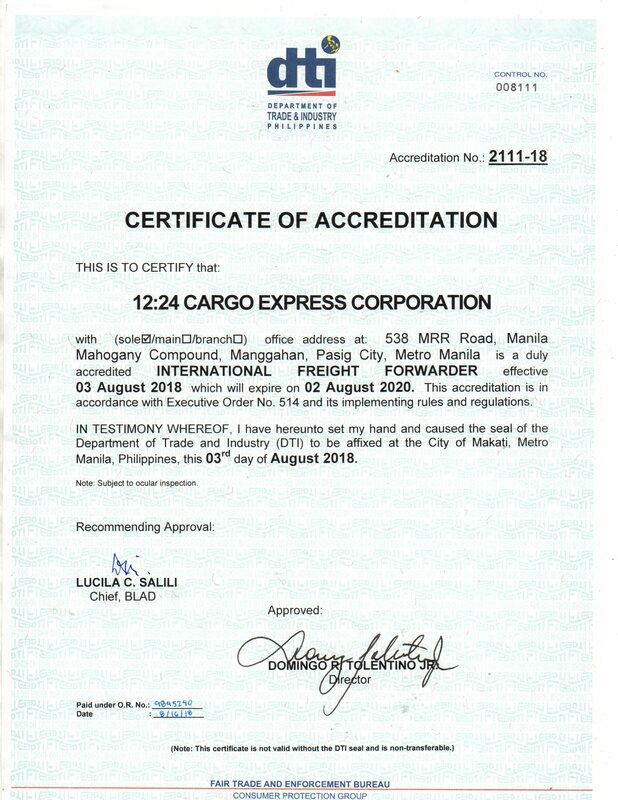 The Corporation was able to renew its accreditation with the Department of Trade and Industry as an International Freight Forwarder. The Accreditation is valid up to August 02, 2020. The Accreditation grants the corporation to transact with the Bureau of Customs.